The stage is set for Super Bowl XLVII. Harbaugh vs. Harbaugh. West Coast vs. East Coast. 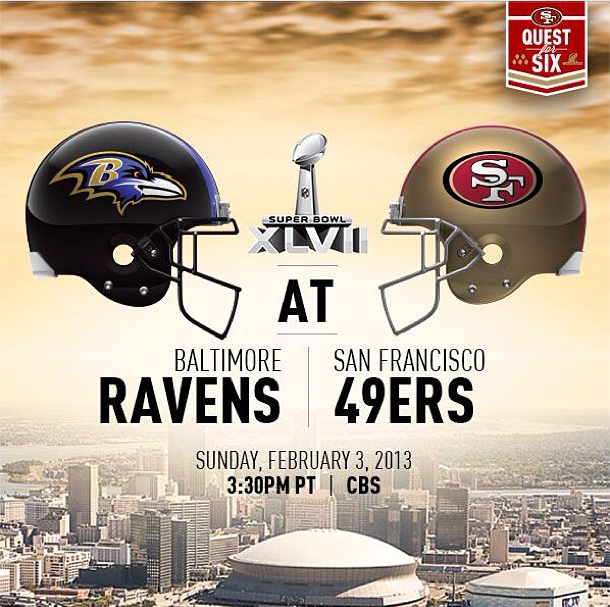 49ers vs Ravens. It’s going to be quite a show. The Niners are a storied francise with a history full of Hall of Famer quarterbacks, and who, as of recently, are being led by just a second-year quarterback. The Niners, who have five Super Bowl titles in their history (tied with the Dallas Cowboys for the second-most in NFL history), are also the only team in NFL history to appear in at least one Super Bowl without ever losing. The Ravens are a team with much less NFL history, as they started playing in 1996, compared to the Niners who were founded in 1946. The Ravens beat the New York Giants in Super Bowl XXXV, which makes them one of four NFL teams to win in their sole Super Bowl appearance. The Ravens have also been AFC North Champions four times and have made the playoffs a total of nine times since 2000. Super Bowl XLVII is bound to be a dramatic one. This Super Bowl will be known as the Har-Bowl. John Harbaugh, the older brother, is the head coach of the Baltimore Ravens, and Jim Harbaugh is the head coach of the San Francisco 49ers. When Jim Harbaugh was named the head coach of the Niners in 2011, the two Harbaughs became the first pair of brothers to serve as coaches in NFL history. John Harbaugh has been the head coach of the Ravens since 2008 and was previously the Special Teams Coordinator and Defensive Backs Coach for the Philadelphia Eagles from 1998-2007. Jim Harbaugh was the Quarterbacks Coach for the Oakland Raiders in 2002, but other than that, his coaching experience was limited to college football with University of San Diego from 2004-2006 and Stanford University from 2006-2010. However, he played quarterback in the NFL for 14 seasons and went to the Pro Bowl once. Their father, Jack Harbaugh, also played quarterback in college and coached at several different colleges. Their rich family history in football and the brotherly rivalry will surely provide some extra excitement to this Super Bowl. The Niners had a 11-4-1 regular season record and were known as one of the best defenses in the league. In the regular season, the Niners’ defense was third in the NFL for yards allowed per game with 294.4 yards. The Niners were also fourth in passing yards allowed per game with 200.2 yards, and they were fourth in rushing yards allowed per game with 94.2 yards. Their offense features a strong rushing attack, a Pro-Bowl tight end in Vernon Davis, and an up and coming wide receiver in Michael Crabtree. Alex Smith was originally the 49ers’ quarterback, but after suffering a concussion in week 10, Kaepernick took over in Week 11. Even after Alex Smith recovered from his concussion, Harbaugh decided to continue to start Kaerpernick. To see why Harbaugh decided to keep Kaepernick as the starter, click here. The Niners have gone 7-2 since Kaepernick was named the starter, and they have played an exciting brand of football ever since. Kaepernick hasn’t shown his lack of experience thus far, so we’ll see how he can respond in a high-pressure situation like the Super Bowl. The Ravens had a 10-6 regular season record and had to overcome several injuries to key players this season, including the future Hall-of-Famer, Ray Lewis. Lewis, playing in his 17th season with the Ravens, tore his triceps midway through October. The Ravens had to play without their star linebacker and team leader for a majority of the season, yet they continued to have an impressive season behind their quarterback Joe Flacco and Ray Rice, one of the best running backs in the league. Lewis returned from injury for the Ravens’ AFC Wild Card game against the Colts, and before the game, he announced that he would retire at the end of this season. The Ravens have been known to be the underdog this season. They came in as serious underdogs in the divisional round against the Broncos, and they won 38-35 in double overtime. They came into the AFC Championships against the Patriots even more as underdogs, and they were able to pull off a miraculous 28-13 win. The Ravens will for sure come into the Super Bowl with a tremendous amount of passion given their underdog mentality and the fact that it’ll be Ray Lewis’ last game in the NFL. 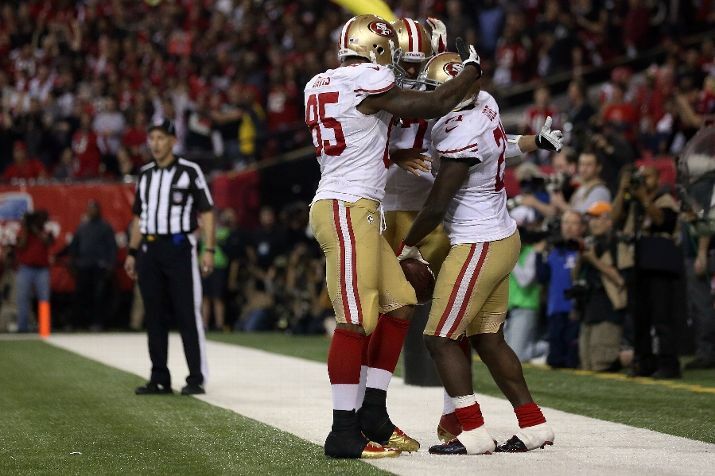 Initially, the 49ers are favored by 4.5 points over the Ravens to win the Super Bowl. However, the Ravens are used to being named the underdog. 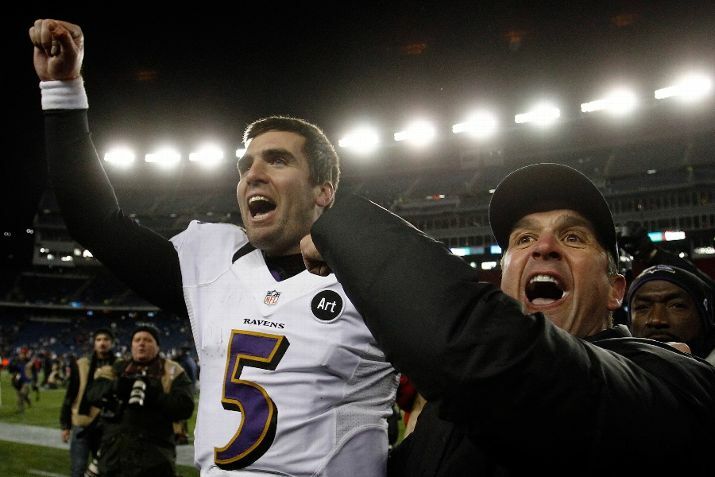 The Patriots were favored by 7.5 points over the Ravens in the AFC Championship, but the Ravens won by 15 points. The Ravens might even enjoy playing as underdogs, because they seem to like proving people wrong. There will be much emotion swirling around this game, so both the 49ers and Ravens will have to be prepared for the distractions, obstacles, and high stakes. This Super Bowl will most likely be a back-and-forth battle and it’s going to be a close game, no matter who wins. So who will win? The token underdogs, the Ravens, or the defense-oriented, newly-rejuvenated offense of the Niners? I guess we’ll see on February 3rd in New Orleans. My prediction: 49ers win by 6. NBA analysts usually just pencil in the Lakers as the winner of the Pacific Division each year, but this year, the Lakers are struggling mightily to find an identity and two other teams in the Pacific Division are playing at a much higher level. The Clippers are ranked #1 in the Pacific Division as of today, and the Warriors are ranked #2. These two times have never occupied the top two spots in the Pacific Division at the same time. Both franchises are known as ones that haven’t had much success in their history, so no one saw it coming that both these teams would be this successful at this point of the season. However, both teams are clearly on the rise. The Clippers and Warriors have already played twice this season, and both games have resulted in a Warriors win. Both games had very different tones though. The first game was on November 3rd, 2012 in Los Angeles. It was the only the third game of the season, and the Warriors were 1-1 going into the game. The Warriors were a very different team back then. Andrew Bogut was resting his ankle this game, and the Warriors had just lost their sixth man, Brandon Rush, for the season with a torn ACL. The Warriors rotation was a little different back then. First of all, Festus Ezeli started his first game of the season, three games into his rookie year. Also, Andris Biedrins didn’t play at all this game, meaning the Warriors went small for the majority of the game, Charles Jenkins didn’t play any minutes either, Draymond Green played only five minutes, and Richard Jefferson played 22 minutes. The Warriors led by as many as 14 points at a couple points in the game, but it was mostly a close game throughout. Fans were able to see intial signs that the Warriors were improving. First of all, the Warriors won the rebounding battle 48-33 and held the Clippers to 42.9% shooting, which was a good sign since rebounding and defense were always the Warriors’ problems. In addition, Stephen Curry took a charge on a Chris Paul drive to the basket that would have tied the game with 7.5 seconds left. Curry hasn’t been known as an elite defender, but starting in this game, he has shown signs of much improvement on defense. Curry then made two free throws with 6.9 seconds left that sealed the 114-110 win for the Warriors. Curry finished the game with 23 points and 4 assists. The Warriors also got a huge performance off the bench from Carl Landry, who had 23 points and 10 rebounds. Klay Thompson also chipped in 17 points and 8 rebounds. After the game, Mark Jackson said, “We don’t quit. We had every reason to quit, but we gutted it out and we defended. It was just a great win for us. I am extremely proud of my guys.” The Warriors determination and constant effort are traits that were developed early on in the season and have continued to grow since. To read more about how the Warriors have improved this season and how they never give up, click here. To watch highlights from this game, click here. The Warriors and Clippers met again on January 2nd, 2013 in Oakland. Oracle Arena was hosting a “Whiteout” that included all fans wearing white shirts, a snow machine outside of the arena, and several other displays of the holidays. It surely was a festive night at Oracle Arena, but in addition to the holiday spirit, the fans spread around their excitement for the game, which caused a playoff-like atmosphere at Oracle Arena for the first time since the “We Believe” playoffs in 2006-2007. The rotation now included Biedrins, Jenkins, Green, and no minutes for Jefferson. Bogut is out until his ankle is fully healed, so Ezeli is still the starting center as well. The Warriors started off the game on fire, which led to a 26-8 lead. The Warriors had three days off prior to the game and appeared fresh and aggressive from the beginning of the game. The Clippers were playing their second game of a back-to-back and appeared a little worn out early on in the game. The Warriors’ biggest lead of the game was 24 points, and they built this lead because of their excellent 3-point shooting, great defense, and rebounding. The Warriors shot 52.2% from the 3-point line compared to the Clippers shooting only 27.6% from the 3-point line. The Warriors also played great defense, holding the Clippers to 36.2% shooting, and they won the rebounding battle yet again 53-38. Curry made 9 of his first 10 shots, and scored 25 points in the first half, the most points by a Warrior in a half this season. He finished the game with 31 points, 8 assists, and 6 rebounds. David Lee had another spectacular game and finished with 24 points, 13 rebounds, and 7 assists. Klay Thompson also had 19 points and was 5-9 from the 3-point line. The Warriors won 115-94. In addition to the All-Star matchups that we’ve seen in these games, we’ve started to see why the new must-see rivalry in the Pacific Division is between the Warriors and the Clippers. Although the Clippers made the playoffs last year, both teams entered the season very much underrated by the rest of the league, especially the Warriors. No one expected the Warriors to be 22-10 at this point in the season. The Clippers went on an unbelievable 17-game winning streak, but they have now dropped two straight games, and their record now stands at 25-8. These two teams are actually fairly similar though. The Clippers rank 3rd in the NBA in opponent field-goal percentage, and the Warriors rank 4th. Both teams have great bench support, although the Clippers have more experience on their bench. Both teams have incredible talent in the point guard and power forward positions. The Clippers have more experience in the playoffs though. The Warriors and Clippers meet again this Saturday night in Los Angeles, and the Clippers will want revenge. The Warriors will be prepared though. David Lee said after Wednesday’s game, “They’re going to be ready. They’re a team that has a lot of character and a lot of guys that don’t like to lose. They’ve won a lot of games in a row and they’re going to be ready and we’re going to be ready as well, we’re excited to go back down there for this challenge.” This will for sure be an interesting and exciting rivalry throughout the season.